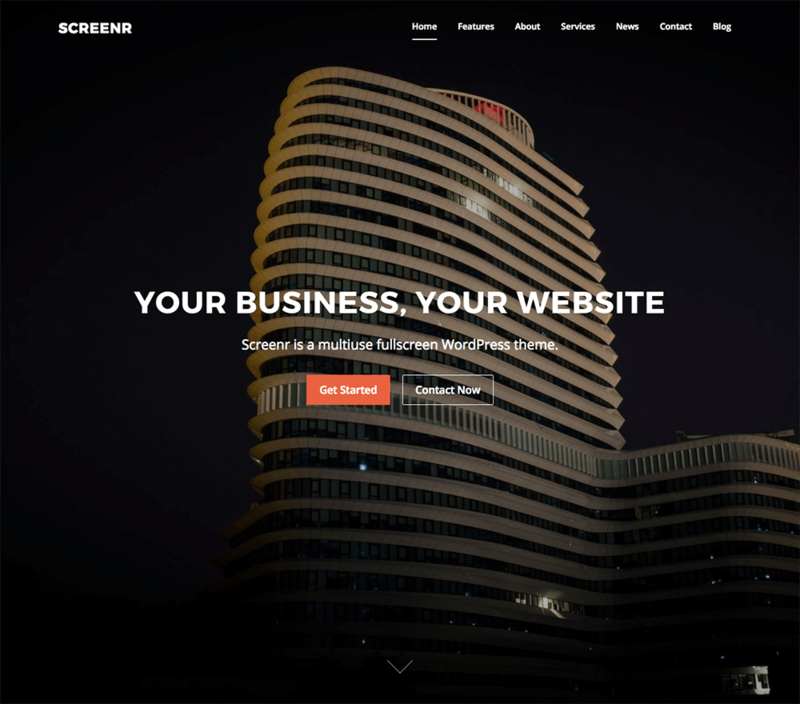 Big - Bold and stylish, Screenr is a multiuse fullscreen theme well suited for business, portfolio, digital agency, freelancers and everyone else who appreciate good design. 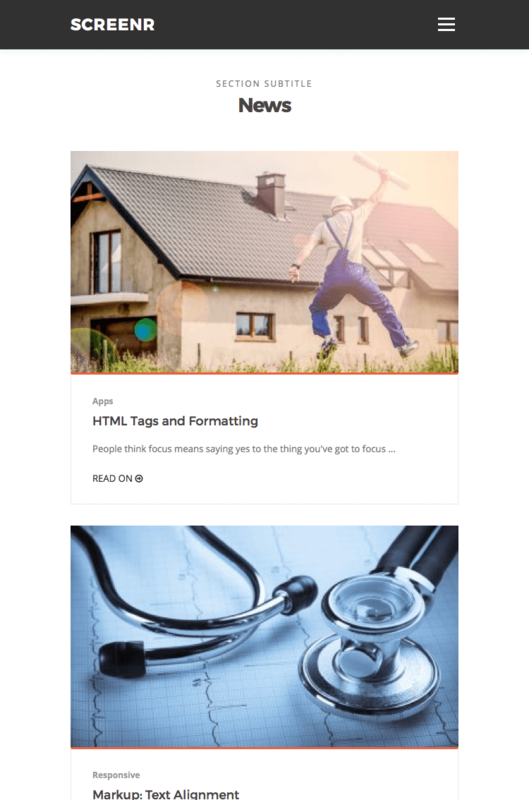 Showcase your about info, services, clients, videos, company info, latest posts from the blog, contact form, everything translation ready. Customize your front page and layout, change the colors as you wish and more. 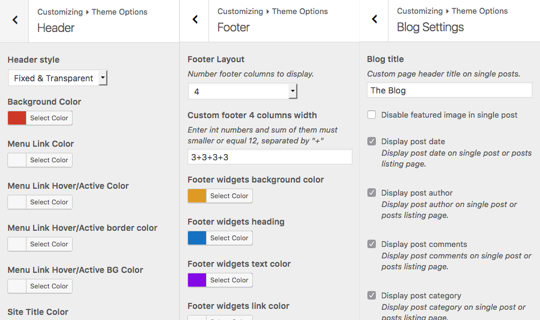 All theme options are located in the Theme Customizer. 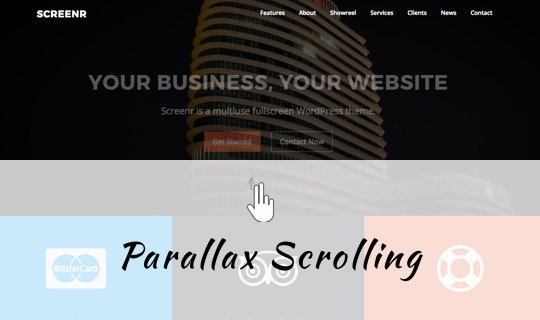 Stand out from the crowd with parallax backgrounds, viewers can enjoy your beautiful content in parallax scrolling sections. 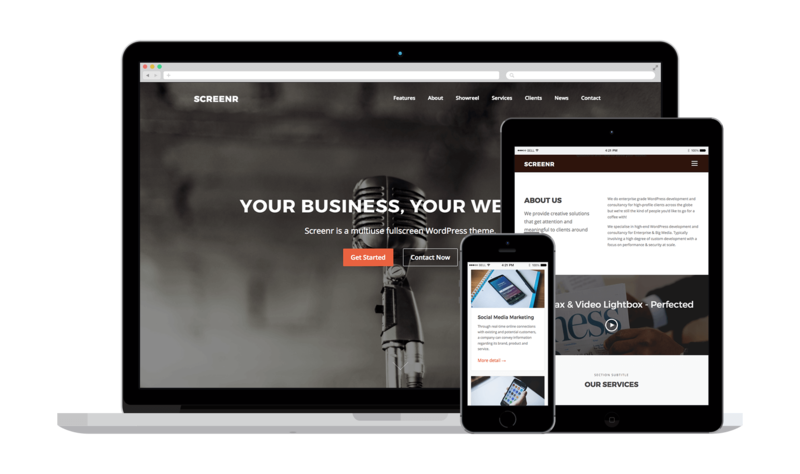 Screenr is a free theme. Please only purchase the FameClub if you want our paid themes too.